Easy Mask Kleanedge Painting Tape by Trimaco applied to vinyl window. This is an interesting product with a simple idea; thick paper and tape (adhesive) in one shot, no need for two different products. 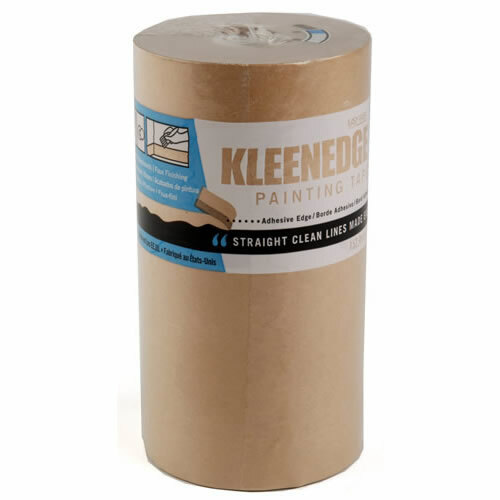 Kleenedge painting tape is available is several widths from 2 inches to 12 inches, I tested 2, 3 and 12 inch provided by Trimaco. The tape I used has low adhesion, comparable to some blue painters tape. This is nice for delicate surfaces, like wallpaper, but not so good for other surfaces. The first width I tried was the 12 inch applied to new, clean metal downspouts. As we were spraying paint near these downspouts good masking was needed to keep them protected. At first the Kleenedge tape seemed to stick well but 30 minutes later was loosening from the surface. Had to use regular masking tape, CP66 from Sherwin Williams, to secure it before spraying. Also tried to mask of the edge of a composite deck, this was a no go. Actually this type of decking can be hard to get any tape to stick to it. I wound up using wide CP66 tape first then sticking the Kleenedge to it. It came loose from the tape so I needed to use some regular masking tape to secure it. The only place where it worked well was masking off some vinyl windows, stuck really well to the vinyl. I don’t recommend Kleenedge masking tape for most exterior surfaces. 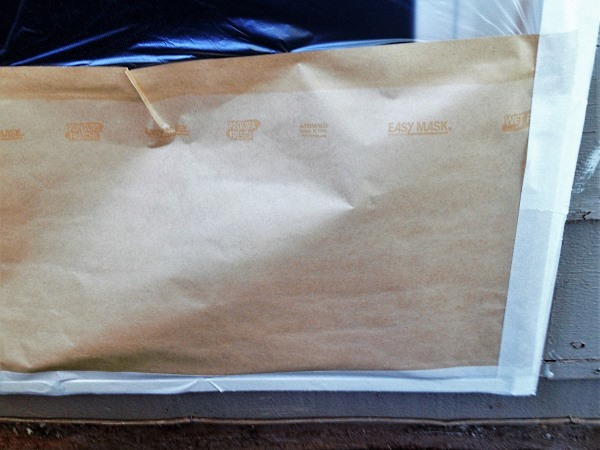 Use regular masking paper or plastic and regular tape. The tape was applied in the sun and shade during the hot summer when temperatures were around 90 degrees, maybe the warm temps had something to do with it. 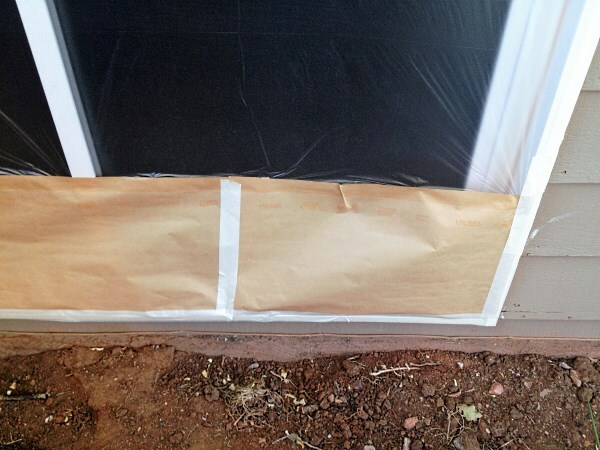 The 2 and 3 inch Kleenedge tape was used inside during a repaint, protecting base trim while rolling was the primary use but also used on some vinyl wallpaper as well as window glass. It worked well for protecting the base trim but came loose often. While this was fine for rolling, just had to reapply from time to time, I would not trust it for spraying. Like the exterior vinyl windows the tape stuck almost too well to the wallpaper, had to carefully remove the masking tape to not cause any damage. 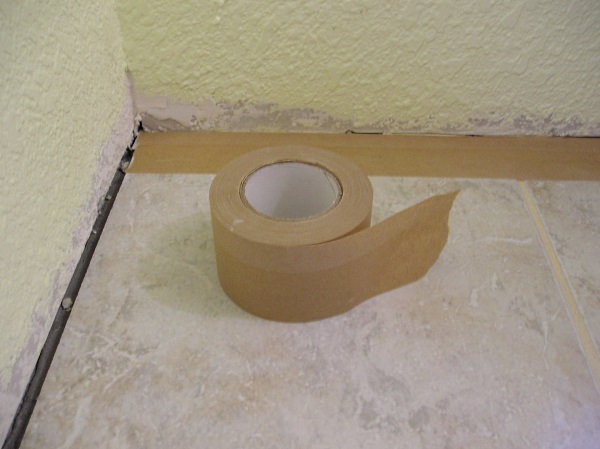 Make sure to test Kleenedge and all tapes for that matter before application to questionable or delicate surfaces. Need to mask off some glass when painting some windows and doors? This is where Kleenedge really excelled; it stuck really well and blocked the paint from seeping under the tape edge. This would be true for most tapes but with the added paper we were able to completely mask off panels on doors for spraying, and it didn’t come loose. Removal was easy since it has a low adhesion to begin with. Kleenedge masking tape can be an important part of some masking jobs but won’t work on every surface. I found it won’t work on most exterior applications, coming loose requiring more time and tape to fix. With that in mind it can be a blessing for some interior surfaces. You will need to pick and choose where Easy Mask Kleenedge Painting Tape is applied and use accordingly. The Easy Mask Kleenedge Painting Tape used for this review was provided by Trimaco. Please visit their site for information.